Skype is available on almost every platform like Windows, Mac, iPad & iPhone, Android and on Facebook. Now you can use goodness of Skype on exisiting phone handset at home. You can setup your existing phone to make and receive free Skype to Skype calls with other Skype users. Also, you can make calls to other mobile and landline users from your existing home phone (even cordless phone) at low Skype calling rates. 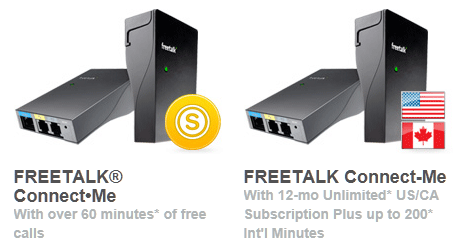 For such setup you need small piece of hardware device called “FREETALK Connect Me Home Phone Adapter for Skype”. It is a plug and play device for making free Skype to Skype calls on existing handset. To get started, connect your home phone, broadband and landline to the phone adapter and you are all set for Skype calling from your phone. Best part, you do not have to be in front of your computer for Skype calling. You can easily make Skype calls using your home phone, powered by Skype – neat and easy, isn’t it? 1. You need broadband internet connection and PC with Windows XP, Vista or Windows 7 or MAC OS with Bonjour installed. (Only required for initial setup). 2. Router with spare network port (RJ45) or network that provides DHCP IP address. 3. Standard analogue home phone (pulse dialing is not supported) and ready access to power (110/240V). Checkout different phone adapters with special subscription options (including free calls) for US and Canada users. 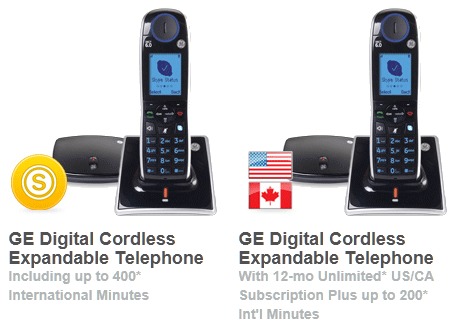 Taking one step further, you can also get special Skype calling enabled cordless phone. It works like a regular cordless phone but through a matching router (and No PC needed). Depending on model selection, phone can have indoor range 50m, outdoor range 300m from base station.